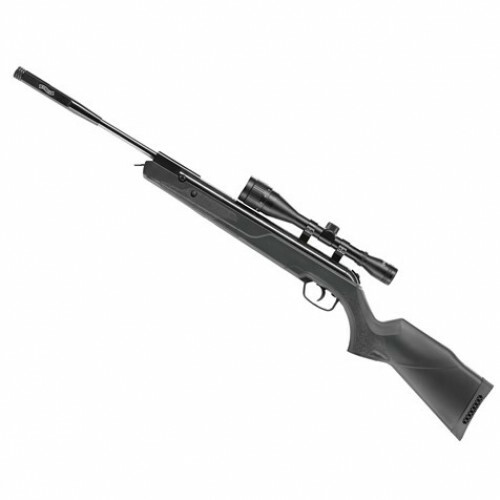 The Walther Century is a full powered legal limit spring powered air rifle that is just at home shooting targets, as well as hunting. This is due to its amazing build quality, as well as Walther's excellent design and engineering, the germans certainlky know how to make airguns. The Century GT features an all weather , black polymer stock which is very durable , as well as being well balanced, and comfortable for the shooter. The action is constructed from solid steel which is blued to a very high standard, and the barrel is fitted with a barrel weight with a ½inch UNF thread for fitting a silencer. The barrel hinge of this rifle features a locking mechanism where the barrel is always securely locked before firing, to increase precision and accuracy, and also to give you with total peace of mind every shot.